We Need Your Flag Football Suggestions! FirstDown PlayBook needs your help. We have spent a lot of time talking about the new Draw & Edit tool that will launch in January and for good reason. We understand how much it is going to change your coaching life and that will in turn change your life period. The second reason is that many of you have patiently (or impatiently in some cases) waited on this for awhile now. We want to take this opportunity to make another important point about FirstDown PlayBook as we move into the last month of the year. FirstDown PlayBook will absolutely continue to provide you and your coaches with proven content even after we release the Draw & Edit tool. By proven content, we mean content that is “By Coaches For Coaches”. We here at FirstDown PlayBook have really done one thing our whole adult life and that is coach football. That is important because even though we don’t claim to have all the answers, our play drawings and coaching points will always be a good start for a football coach at whatever level you coach. This brings us to our main point today. The FirstDown PlayBook flag football section now has nearly 1400 unique play drawings in it. We have created 4v4, 5v5, 6v6, 7v7, and 8v8 categories with blocking and non-blocking plays and defenses. As we speed towards 2019, we would like to know what we can do to continue making this section the best flag football playbook resource on the planet. 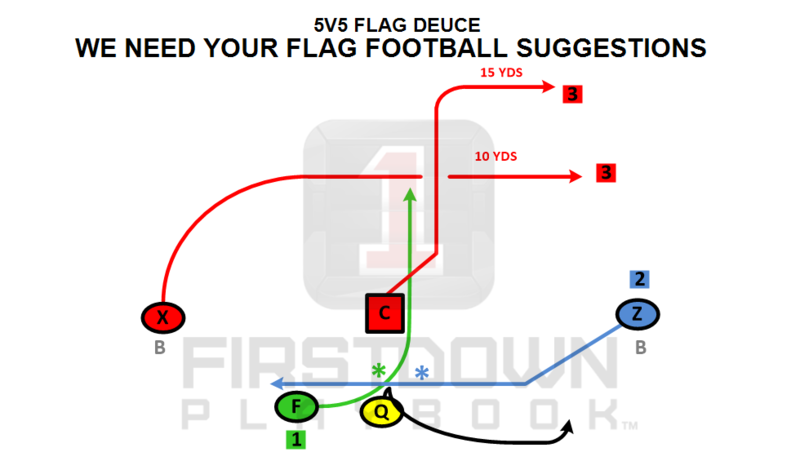 Once again, the Draw & Edit tool is going be a big time boost to you and this section but we are determined to still do our work in this area as we continue to grow your favorite flag football playbook resource. So please take a look at this short video or just tap on this link to let us know what your league rules are and how we can tailor our playbook for you and your flag football league.